Over a week has passed since seven policemen and an infant were killed during a Tharu agitation in Tikapur in Nepal. It was followed by riots and army deployment in the area. After 10 years the Nepalese Army is out of the barracks to enforce law and order. Although Nepal today is a Republic, not a bit seems to have changed in the government’s approach towards crisis in Nepal. It’s still looking south for direction. Instead of making a serious effort to reach out to disgruntled groups the Nepal government seems to be in a hurry to promulgate the Constitution in ‘time’ under the military’s shadow. Suddenly extended Constituent Assembly sittings are being held. The proposed constitution has opened old wounds which have bled Nepal since the 1950s. Lack of foresight coupled with superficial attempts to resolve it has, like always, only deepened the crisis. The standard crisis management method so far has been: first, suppress democratic aspirations, then negotiate and at the end create a bigger problem to make the first look minor or at least unworthy of any serious attention. Just a brief recall: to counter parliamentarians, erstwhile King Birendra let the Maoists spread through the country, and even held secret talks with them. Later to control the Maoists, King Gyanendra held secret negotiations with China and other European countries and gave them full opportunity to influence Nepal’s internal politics. Then, to make the King listen, the parliamentary parties struck a deal with the Maoists. And in 2006, to subdue the Maoists, the Nepal government under late GP Koirala extended support to the Madhesi Movement. The current crisis in Nepal too is the result of a lack of wisdom, and levels of connivance, in the current leadership of the ruling parties. In the last three months the Nepali politicians have made two fundamental errors which have fueled mass unrest. First, arose from the belief that the leaders of the United Communist Party of Nepal (Maoists) and Bijaya Kumar Gachhadar of the Madhesi Janadhikar Forum, Democratic still hold credibility in their constituencies. Second, they couldn’t correctly foresee the people’s anger. They believed that with the Maoists and the Forum on their side they would make people accept the constitution without much trouble. It is a fact that the second Constituent Assembly is hardly as representative of the will of Nepalese people as was the first. The representation of indigenous, Madhesi and dalits-minority has almost come to naught in the present Constituent Assembly. It is definitely a setback. The parties which had been ruling Nepal for last three decades and were by large responsible for whatever Nepal is today, are in the majority and have forcibly revised several important decisions of the previous Assembly. The unrest today is a result of those revisions. Along with this the Maoists also completely capitulated on every positive issue they once stood for. Such as secularism, ethnic based federalism and land reform. In all, the 2nd Constituent Assembly has given a constitution minus the spirit of the 2006 Comprehensive Peace Agreement and several other agreements and understandings with the Madhesi and other ethnic and poor people of Nepal. In fact, it gave the same constitution which had been proven outdated for Nepal long ago. Hence, when the ruling government of the Congress and UML bet on Prachanda and Gachhadar to make people believe their intentions they made a very poor choice. Prachanda and Gachhadar have long lost their credibility. The Madhesi people don’t see Gachhadar as their representative leader. Similarly, Prachanda too doesn’t have the support of people beyond a tiny faction in and outside his party. The parties should have considered the fact that Prachanda lost the election from Kathmandu and marginally won from Siraha. It is only a ‘miracle’ that for the last three years he is at the helm of the UCPNM leadership. For long he has managed to remain at the top only as a compromised choice of rival factions in the party. 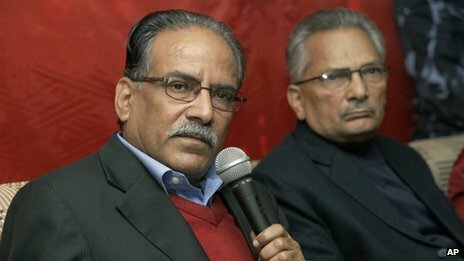 Both Gachhadar and Prachanda are the leaders who everyone in their parties want to see fail. Their failure guarantees survival as well as resurrection of many other leaders. Hence, the stamp of these two leaders on the new constitution was not acceptable. Their agreement on the draft only justified people’s fear that they were about to be fooled once again. The result: for the last two weeks Nepal is shut. Curfew is imposed in several parts and gradually the military is taking the lead role. Can a constitution promulgated in this situation give the lasting peace Nepal has been looking for since the 1950s? The New Nepal Constitution: A Losers Document? Now that the draft constitution of Nepal is out for public scrutiny, it looks as if the nine year long exercise for constitution writing was a wasted opportunity. The draft constitution has postponed many important issues for a distant, yet unknown, future. The new constitution, the 6th in as many decades, lacks some of the core elements which have been the cause for chain of unrest, bloody and peaceful, in the Himalayan nations for more than a century now. No wonder various sections of Nepalese have already hit the streets to oppose it. Padma Ratan Tuladhar, a credible ethnic face and prominent human rights activist, has described the new constitution as a ‘losers’ document’. This is because, the constitution makers, have ignored the aspirations of the Madheshi (people of the plains), dalits and major ethnic and religious groups in the draft. Since the the Gorkha king Prithvi Narayan Shah united most of the present Nepal, these groups have had a history of marginalization and exclusion. Current constitution keeps the exclusion intact. For example, the current draft replaces the word ‘proportional representation’ for marginalized communities in interim constitution with ‘inclusive’ participation. This means that the communities will be ensured participation without any promised representation. It further exposes the communities to the competition where they, due to historical reasons, are in disadvantage. Similarly on the issue of religious freedom the drafters have shown their disdain for individual’s wisdom. The new constitution states that each person shall be free to profess, practice, and preserve his/her religion according to his/her faith, and distance himself/herself from any other religion nevertheless it criminalizes the religious conversion by putting a condition i.e. it categorically states, ‘no person shall act or make others act in a manner which is contrary to public health, decency and morality, or behave or act or make others act to disturb public law and order situation, or convert a person of one religion to another religion, or disturb the religion of other people. Such an act shall be punishable by law.’ The constitution is inconsistent with the article 18 of the Universal Declaration of Human Rights which gives every human being freedom to change his religion or belief. The above argument has to be understood in the current political and social context of Nepal. 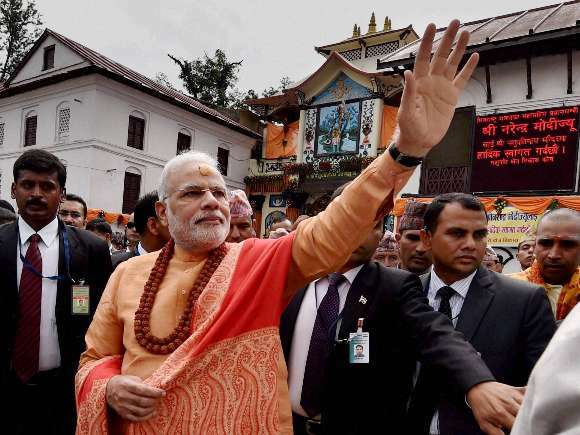 In last few years, Nepal is being sharply divided on religious lines. Post Monarchy there has been many fold increase in efforts to blunt the democratic aspirations of people by polarizing them on religious line. The political parties, including the Maoists, are unnecessarily debating the word secularism in the draft. They are infusing xenophobia in the citizens’ psyche. Even the Maoist leaders Prachand has misinterpreted the word secularism and agreed to find a ‘suitable’ replacement. In an interview to Outlook Hindi Prachanda said that he was against ‘forceful conversion because spread of Christianity in Nepal is dangerous.’ He didn’t define how. Likewise, the constitution is also ambiguous on federalism, land reform and other issues including gender rights. These are the issues that should have not been left for future. It is widely believed that the current constituent assembly has been hijacked by the forces which were fought against to create it. Nepal has seen many violent uprisings in the past. Nepali leaders ought to understand that keeping the status quo won’t help in future either. For last nine years, the Constitution Assembly could never show that it was serious in resolving the contentious issues through serious debates. Every major compromise was achieved outside the assembly in often questionable negotiations. Those who know about 1990 movement, also known as People Movement I, that resulted in end of absolute monarchy and making of a new constitution could see that the present exercise was no different. Then too in the name of compromise the leaders betrayed the most marginalized and exploited people. That betrayal pushed Nepal to the bloodiest civil war for a decade which ultimately broke the economy and society. It was hoped that the leaders would understand the past mistakes and address the core issues that has caused unrests in regular intervals. Unfortunately they didn’t. 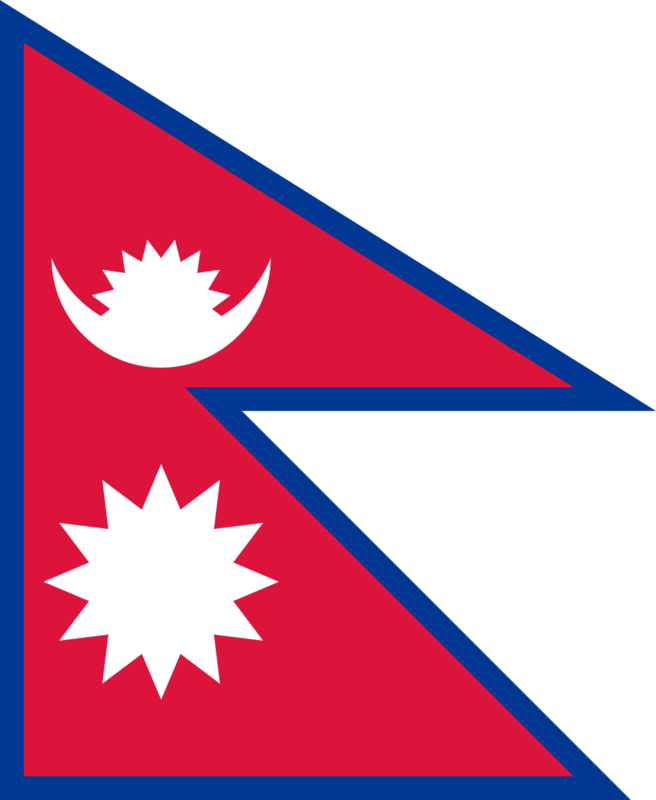 Nepal today stands at square one. It has lost a good opportunity to move on the path of peaceful growth. The leaders may take a deep breath for now and think of themselves as heroes but future certainly will be not very kind to them. They have repeated the same mischief for which they have been punished time and again. It now looks obvious that their reluctance to not learn for the past would cost Nepal dearly. The national convention of the United Communist Party of Nepal (Maoist) held in Biratnagar ended in a humiliating defeat for its influential leader Dr Baburam Bhattarai. The convention, which was aimed at strengthening the party by resolving the differences between its two big leaders Pushpa Kamal Dahal aka Prachanda and Baburam Bhattarai only aggravated the situation and exposed, once again, fissures in the party. 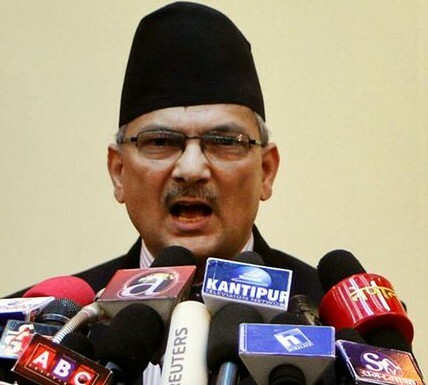 Bhattarai has been completely sidelined and it is now certain that Prachanda will continue to enjoy the absolute authority in the party. Many of Bhattarai’s old friends and associates left him in the lurch to join the ultimate winner of the years’ old battle for party’s control. Prachanda once again proved that when it comes to settling scores with his rivals he is as merciless as his idol Jung Bahadur Rana of Nepal. After the second Constituent Assembly election last November, in which the party performed poorly, Bhattarai’s loyalists have been pressurizing Prachanda to step down from the top post. Often Bhattarai used public space to make his point.. His opinion that there was a need of new force, expressed in Kantipur Daily, was seen as a direct challenge to Prachanda’s authority. Bhattarai also tried to forge alliance with another powerful but disgruntled leader Narayan Kaji Shrestha to win majority in the party’s central committee. Had he succeeded the alliance would have balanced the power and forced Prachanda to heed to Bhattarai’s demand. But Shreshta, a newcomer, proved himself to be too weak to keep a check on his loyalists. In the convention Prachanda proposed the Central Committee, CC, that he will always keep him in majority. In the new 99 member CC there are less than 30 members from Bhattarai and Shrestha factions! After a long time Prachanda has gained an upper hand in the party. This is reflecting in his body language too. In a press conference after the convention, he spoke with the confidence of a supreme leader. He told journalists that ‘he will give important position to Bhattarai’. Later, speaking at the inaugural ceremony of party’s mouthpiece Prasthan, Prachanda told the gathering that he had promoted Bhattarai to the party’s highest committee with the view that it would benefit party but it proved to be a mistake. Prahanda further humiliated Bhattarai by telling people that the old communist leaders and cadres had advised him not to elevate Bhattarai beyond district committee! The sudden turn of the event had come as a shock to Bhattarai and his loyalists. In June 2012 the UCPNM split vertically. The party watchers thought that the development would make Bhattarai stronger for had long represented the line of multi-party democracy and peaceful struggle for socialism against hardliners’ line of ‘people’s revolt’ to establish socialism. Initially both Prachanda and Bhattarai saw the split as a boon as it gave them the opportunity to take party out of the ‘People’s War’ mode. The immediately held Hetauda convention endorsed the line of ‘peaceful road to Socialism in Nepal’. The party declared that its basic goal was to promote economic growth. 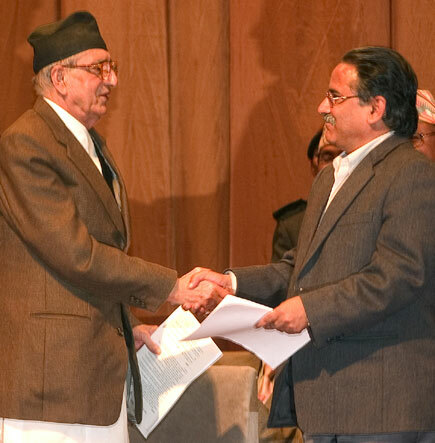 The convention also led to the formation of Chief Justice Khil Raj Regmi’s caretaker or impartial government to hold Constituent Assembly election. The party had imagined a bigger victory in the election. However the result showed that it had exaggerated its strengthen. The party lost badly and ended up being the number 3 party in the Constituent Assembly. Since then Bhattarai and Prachanda never saw eye to eye. Bhattarai never missed opportunity to show Prachanda his place. Bhattarai thought that Prachanda had lost his appeal amongst the cadre and it was matter of time when curtain would fell on him. However Bhattarai poorly judged his own strength in the party. No doubt he is more acceptable to the urban population of Nepal than Prachanda but organizationally he is very weak. He failed to realise that the split has weakened him further for there was no one to support him organizationally. Previously, Mohan Baidya ‘Kiran’ had come to his rescue whenever Prachanda wanted to ‘penalize’ him for his ‘mistake’. Wisely, judging the way the wind was blowing his known loyalists like Dinanath Sharma and Ram Karki left him to side with Prachanda. By reading Bhattarai statements after the convention it can be said that he understands that his is the lost case. There is no way Bhattarai can challenge Prachanda. Even if he tries, it would not be consequential and only make Prachanda’s work easy. He must have realised that hitherto Prachanda kept him in good term to resist hardliners. With the hardliners, Bhattarai’s relevance in the party too had gone. नेपाल संविधान सभा चुनाव 2013 के अब तक आए परिणामों से यह बात तय है कि पिछली संविधान सभा की सबसे बड़ी पार्टी एकीकृत कम्युनिस्ट पार्टी (माओवादी) को तीसरे स्थान पर संतोष करना पड़ेगा. हालांकि माओवादी पार्टी अपनी ‘हार’ को स्वीकार करने से कतरा रही है, लेकिन अब वह उस स्थिति में नहीं है कि दवाब डालकर कोई समझौता करने के लिए दूसरी बड़ी पार्टियों नेपाली कांग्रेस और नेपाल कम्युनिस्ट पार्टी (एमाले) को मजबूर कर सके. चुनाव में धांधली का आरोप लगाकर हार के गम को गटका तो जा सकता है, लेकिन पार्टी के भविष्य को लेकर उठने वाले सवालों से बचा नहीं जा सकता. यदि धांधली का उसका दावा सही भी है, तो भी कम से कम माओवादी पार्टी को परिणाम को खारिज करने को कोई नैतिक अधिकार नहीं है. इस बार के संविधान सभा चुनाव की जल्दबाजी माओवादी पार्टी को थी. पार्टी के प्रधानमंत्री ने पिछली संविधान सभा को भंग किया, पार्टी के ही अध्यक्ष ने मुख्य न्यायाधीश की अध्यक्षता में चुनावी सरकार के गठन में सबसे अहम भूमिका निभाई. यहां तक कि इस सरकार के गठन का प्रस्ताव प्रचण्ड का ही था. इसी पार्टी ने चुनाव बहिष्कार करने वाले समूह की हर मांग की अनदेखी कर उन्हें चुनाव में शामिल होने से रोका. पार्टी की मान्यता यह रही कि यदि मोहन वैद्य ‘किरण’ के नेतृत्व वाली पार्टी ने चुनाव में हिस्सा लिया, तो उसके वोट प्रतिशत में सेंध लगेगी. चुनाव परिणाम को जितना अप्रत्याशित दिखाने का प्रयास किया जा रहा है, उतना अप्रत्याशित वह है नहीं. माओवादी पार्टी की आंतरिक बैठकों में बार-बार यह बात होती रही कि पार्टी पहाड़ी क्षेत्रों में अपने पुराने प्रदर्शन को नहीं दोहरा पाएगी. पार्टी कार्यकर्ताओं की रिपोर्ट के आधार पर ही यह तय किया गया कि पहाड़ी क्षेत्र से अधिक तराई पर केन्द्रित होकर चुनाव लड़ा जाए. इसकी वजह यह थी कि पिछले पांच सालों में तराई का मधेस आंदोलन छिन्न-भिन्न हो गया था या कहें कर दिया गया था और पार्टी खुद को मधेसी आंदोलन का जायज उत्तराधिकारी मानकर चल रही थी. पार्टी के कई दिग्गज नेताओं ने पुराने क्षेत्र को अलविदा कहकर तराई से नामाकंन भरा. अति उत्साह में वह भूल गई कि 1990 से तराई नेपाली कांग्रेस का मजबूत गढ़ रहा है और मधेस आंदोलन के अधिकांश नेता कांग्रेस से ही निकलकर आए हैं. जनयुद्ध के काल में भी तराई में माओवादी पार्टी अपनी तमाम कोशिश के बावजूद कभी पैर नहीं जमा सकी थी. इसलिए मधेस आंदोलन के खत्म हो जाने पर वहां कि जनता ने पुरानी परखी हुई पार्टी को ही वोट देना उचित समझा. उधर पहाड़ी क्षेत्र में जो जनयुद्ध का आधार था, माओवादी पार्टी की लोकप्रियता तेजी के साथ कम हुई. जनयुद्ध के क्रम में शहादत देने वाली इस क्षेत्र की जनता ने बहुत जल्द ही यह समझ लिया कि पार्टी का नेतृत्व नेपाली क्रांति को संविधान सभा से आगे ले जाना नहीं चाहता. पांच सालों में पार्टी के नेतृत्व ही जो तस्वीर उस के सामने बनी वह उस तस्वीर से बिलकुल अलग थी जो उसने जनयुद्ध के समय देखी थी. साथ चलने, खाने और हंसने-रोने वाला नेतृत्व जनता के समीप जाने से भी कतराने लगा था. नेता सिर्फ उन्ही दुर्गम क्षेत्रों में जाते थे, जहां तक उनका हेलिकाॅप्टर उन्हें ले जाता. अपने संसदीय क्षेत्रों से अधिक नेताओं ने विदेशी भ्रमण किए, जहां वे हमेशा सपरिवार ही जाते थे. इसी जनता ने ऐसा दवाब बनाया कि पार्टी दो हिस्सों में विभाजित हो गई. जनयुद्ध के लक्ष्य को हासिल करने के दावे के साथ पार्टी के एक बड़े हिस्से ने प्रचण्ड की अध्यक्षता वाली पार्टी को त्याग दिया. इस विभाजन ने पहाड़ी क्षेत्र से एकीकृत माओवादी पार्टी के पैर उखाड़ दिए. पुराने दौर में पार्टी का गढ़ माने जाने वाले रोल्पा के थवाग गांव में एक भी मत न पड़ना पार्टी के कमजोर हो जाने का सबसे बड़ा सबूत है. इन दो कारणों के अलावा पार्टी की हार का एक और कारण भी है. पिछले समय में पार्टी में आंतरिक लोकतंत्र को पूरी तरह समाप्त कर दिया गया था. पार्टी के महत्वपूर्ण निर्णय दक्षिण के पड़ोसी को ध्यान में लेकर लिए जा रहे थे. प्रधानमंत्री पद पर बाबुराम भट्टराई के कार्यकाल में भारत और अन्य देशों के साथ ऐसे समझौते हुए, जो खुद पार्टी की लाइन के विपरीत थे. ये सभी समझौते पार्टी में बिना चर्चा किए लिए गए. कई निर्णयों का पार्टी की मीटिंगों में व्यापक विरोध भी हुआ. जनसेना के शिविरों को नेपाली सेना को सौपें जाने के निर्णय के खिलाफ तो स्वयं पार्टी के कार्यकताओं में मशाल जुलूस निकालकर विरोध किया था. चुनाव से ऐन पहले पार्टी के टिकट बंटवारे की प्रक्रिया में भी पार्टी के नियमों का पालन नहीं किया गया. पुराने कार्यकर्ताओं की कीमत पर पैसे और रसूख वाले नए लोगों को टिकट दिए गए. सैकड़ों पार्टी कार्यकर्ताओं को चुनाव से पहले ही पार्टी ने नाराज हो गए और चुनाव में किसी भी तरह की सक्रिय भूमिका से खुद को अलग कर लिया. साथ ही टिकट बंटवारे की अलोकतांत्रिक प्रक्रिया ने पार्टी के अंदर तमाम गुट-उपगुट को पैदा किया, जो अन्य पार्टी के प्रत्याशी से अधिक अपनी ही पार्टी के प्रत्याशी को हराने के लिए उत्सुक थे. पार्टी नेतृत्व यह भूल गया कि नेपाल में कार्यकर्ता वोट देता है, जनता नहीं. नेपाल का बहुसंख्य वोटर किसी न किसी पार्टी का सदस्य होता है, इसलिए कार्यकर्ता को नाराज करना हमेशा महंगा पड़ता है. दूसरी तरफ इस बार के चुनाव परिणाम भारत की कूटनीतिक विफलता भी है. प्रचण्ड के नेतृत्व वाली माओवादी पार्टी के कमजोर होने से मोहन वैद्य ‘किरण’ की लाइन ‘स्वतः’ सही साबित हो जाएगी. नेपाल की राजनीति में हाल में कमजोर हुआ भारत विरोधी स्वर एक बार फिर मुखर हो जाएगा और जल्द ही प्रचण्ड एक बार फिर घोर भारत विरोधी नारों के साथ कार्यकताओं को सम्बोेधित करते नजर आयेंगे. इसके अलावा भारत के माओवादियों को भी इस परिणाम से वैचारिक साहस अवश्य प्राप्त होगा. इस पार्टी के अंदर भी वे आवाजें हाशिए पर चली जाएंगी, जो नेपाल का हवाला देकर संसदीय राजनीति की प्रासंगिकता को साबित करने में लगी थीं. बहुत मुमकिन है कि प्रचण्ड समर्थक इस हार का ठीकरा बाबुराम भट्टराई के सर पर फोड़ें और उन्हे पार्टी से चलता होना पड़े. थोड़ा सा पीछे जाकर देखें कि संविधान सभा का विघटन बाबुराम के प्रधानमंत्री पद पर रहते हुए हुआ था और इसे बहाना बनाकर हार के लिए उन्हें दोषी ठहराया जा सकता है. बाबुराम के जाने से पार्टी के अंदर भारत समर्थक पक्ष कमजोर हो जाएगा. सबसे दिलचस्प बात है कि किरण समूह के पार्टी से अलग होने के बाद बाबुराम पहले से ही कमजोर हैं. पिछले समय में वैचारिक स्तर पर भीषण मतांतर के बावजूद किरण ने हमेशा बाबुराम के खिलाफ किसी भी कार्रवाही का विरोध किया था. अब जबकि उनके खेमे के लोग चुनाव में हार चुके होंगे, तो उनका वैसे भी कोई खास उपयोगिता पार्टी के लिए नहीं होगी. मोहन वैद्य ‘किरण’ के नेतृत्व वाली माओवादी पार्टी के बारे में जिन लोगों को यह लग रहा है कि चुनाव का बहिष्कार करने के चलते नेपाल की यह माओवादी पार्टी अप्रासंगिक हो जाएगी, उन्हें एक बार फिर सोचने की जरूरत है. उदार लोकतंत्र का सबसे जरूरी सबक यह है कि विरोधी का सबसे अच्छा स्थान संसद है. संसद से बाहर विरोधी अधिक ताकतवर साबित होता है. किरण माओवादी पार्टी को निषेध कर चुनाव करने के फलस्वरूप नेपाल की राजनीति में वह सबसे बड़ी ताकत बन गई है. साथ ही, आने वाले दिनों में प्रचण्ड से टूटकर इस पार्टी में शामिल होने की प्रक्रिया को तीव्रता मिलेगी और लोकतांत्रिक बदलाव के तमाम दावों की हवा निकल जाएगी. प्रचण्ड की हार वास्तव में भारत की कूटनीति की एक और पराजय है. ऐसा लगता है कि भारत को गलती करने में मजा आता है. फिर दक्षिण एशिया में तो उसने जहां कहीं भी हाथ डाला है, चीजों को बुरी तरह फंसा दिया है. श्रीलंका, मालद्वीव, बांगलादेश और अब नेपाल भारत की कूटनीति के दिवालियेपन के सबूत हैं. प्रचण्ड के नेतृत्व वाली पार्टी के लिए आगे का रास्ता लगभग बंद है. वह लौटकर फिर से जनयुद्ध का रास्ता नहीं ले सकती और न ही इस पराजय के बाद खुद को एक रख सकती है. जैसा कि जीत के अतिविश्वास में पार्टी ने अपने ही काडरों को टिकट नहीं दिया और 2008 के बाद पार्टी से जुड़े अधिकांश रसूखदार लोगों को अपने ही कार्यकर्ताओं को विश्वास में लिए बिना टिकट दिया गया. अब जबकि परिणाम आ गए हैं पार्टी में विद्रोह की आशंका बन रही है. जल्द ही पार्टी कई टुकड़ों में बंट सकती है, लेकिन इससे भी पहले वे लोग जो जीत की आशा के साथ पार्टी में शामिल हुए थे वे पार्टी को अलविदा कह सकते हैं. साथ ही, यदि प्रचण्ड पर हार की नैतिक जिम्मेदारी डालने का प्रयास होता है, तो हो सकता है वे ऐसी मांग करने वालों को पार्टी से खुद ही अलग कर दें. नेपाल के राजनीतिक भविष्य का अनुमान लगाना हमेशा से ही जोखिम भरा रहा है, लेकिन एक बात तय है कि आने वाले दिनों में वहां का राजनीतिक संकट और गहराएगा. एक बड़ी पार्टी का इस तरह कमजोर होना नेपाल के लोकतांत्रिक भविष्य के लिए भले ही अच्छा संकेत न हो, लेकिन सामाजिक बदलाव की राजनीति करने वालों के ध्रुवीकरण करने में इसकी महत्वपूर्ण भूमिका होगी. एकीकृत माओवादी पार्टी की हार ने नेपाली जनता के सामने फिर एक बार स्पष्ट कर दिया है कि आमूल परिवर्तन के उसके लक्ष्य के लिए संसदीय रास्ता बहुत दूर तक साथ नहीं दे सकता है और जब तक नेपाल में भारत परस्त पार्टियों का दबदबा है, तब तक बदलाव की उसकी आशा रेगिस्तान में मृग-मरिचिका के समान है. हर बार आधे अधूरे बदलाव ने उसे वहीं लाकर खड़ा कर दिया है, जहां से वह शुरुआत करती है. 1950 से लोकतंत्र और सार्वभौमिकता की लड़ाई लड़ रही नेपाल की एक बार फिर छली गई. यह पराजय संघर्ष की उसकी जीजिविषा को खत्म करती है या तेज यह तो भविष्य तय करेगा, लेकिन यह बात तय है कि उसकी लड़ाई का अगला अध्याय एकीकृत माओवादी पार्टी की हार के साथ आरंभ हो गया है. नेपाल : कहीं कोई रास्‍ता है? The cables present a ‘carefree’ picture of then Indian establishment. Unlike the US and the King India was not worried about the Maoists’ takeover. However it continued to keep the US in dark of its policy on Maoists. India shrewdly made the US believe that it was not going to compromise with the Maoists and at same time it was establishing contact with the senior Maoists leaders. These guidelines were meant for the King. However for the King these were unacceptable conditions. The King didn’t want to bring India in and also was reluctant to join hands with the political parties. In the same cable the under secretary Manu Mahawar suggested the US ambassador that the King should not undermine Deuba’s authority as it would only exacerbate the situation. Which suggests that Indian establishment knew from it sources that what future held for Dueba. But undermining once again the authority of India the king dismissed the Deuba government. From this point onward India was free of inhibition and worked more rapidly to bring in Maoists together with the political parties. ‘Writing in The Indian Express Foreign Affairs strategist C Raja Mohan observed, ‘that the King had gambled that India would reluctantly support the monarchy when faced with a choice between the Maoists and the Palace. General Ashok Mehta argued that the King’s actions reflect his obsession with power, and said it was unlikely that that the King would ever restore democracy’, noted the ambassador on 2 February2002. Two days later India suspended the military pipeline and told the ambassador that it was worried about China and Russia involvement in Nepal. In cable number 05NEWDELHI922 (2005-02-04) India was particularly worried about reports that the RNA chief had contacted Russia to provide MI-17 helicopters. “We just cannot accept that,” Saran underlined, adding that the mere fact of the request was worrisome. Saran was also concerned by rumors that President Musharraf was reaching out to the King, fearing that this too could be part of an effort to take advantage of India’s firm policy in order to cultivate influence with the Palace. The Ambassador noted that the US had already weighed in with the Chinese, and promised to convey the Foreign Secretary’s worries about other players. This suggests India was blocking every help the King could get. For India the Maoists were not as big a problem as the King himself. Devoid of check (political parties) the King could have done as the Maoists would have if they had come to mainstream without compromise. In the same cable the ambassador quotes Former Indian Ambassador to Nepal AR Deo who suggests, ‘Nepal appears to be no exception to the international trend of monarchies ending around the globe. The question for policy makers is how to ensure a soft landing.’ So it can be fairly concluded that by March 2003 the Indian establishment was concentrating in ensuring ‘a soft landing’ instead of saving Monarchy. Accordingly it started facilitating the negotiations between the Maoists and the political parties. By August 2006 the US lost it hope of bringing India and the King together. In cable number 05NEWDELHI6595 the ambassador notes, ‘Washington Must Lead, Because New Delhi Can’t’. In the same cable JNU professor assured the ambassador that the Maoists were willing to join a democratic government and even accept a titular monarchy, ‘alluding to his close connections to senior Maoist leaders (he responded to a challenge by asserting that he had met CPN(M) chief Prachanda “within the past 10 months”), Muni asked us to trust the Maoists’ willingness to participate in a peaceful political process(05NEWDELHI6595).’ Here the ambassador understood that they were checkmated and the ambassador says, ‘We were struck by the widespread acceptance among New Delhi’s Nepal watchers of the idea that King Gyanendra has made himself dispensable. We have convoked this group repeatedly since February 1, and on this occasion found a stark souring of views on the King, which contrasts with the GOI’s continued commitment to the “twin pillars” of constitutional monarchy and multiparty democracy’. The picture that the cables present of the Maoists is of an opportunist party rather than a revolutionary one. They were more guided by the situations than by ideology. At one time they looked as if they were for revolutionary change in Nepal and at other time they were ready to compromise with the King. They even went further to sell the sovereignty of the nation just to land safely in the mainstream. One time they projected India as an enemy and the next time they ‘begged’ it for support. The US never quite trusted the Maoists but India always felt at home with them. India somehow knew- which proved right after 2006- that the Maoists would never threatened its interest. The Maoists on the other hand ‘exploited’ all the opportunities they could find to come to the mainstream. Their eagerness to get legitimacy was more funny than frightening. And it looks that all the negotiations with the government of Nepal failed only because the government was not interested in making it success otherwise the Maoists might have compromised well before 2006. In 2003 talk they dropped their demand of constitutional assembly and in 2005 they agreed for ‘a titular monarchy’. Had the King showed them some ‘benevolence’ they would have also refused to form an alliance with the political parties. This was proved in 2003 when they, sidelining the political parties, demanded the formation of an interim government under their leadership. And even before in 2001 when they shamelessly declared that they were in touch with the late King Birendra. After the King was ousted they signed the Comprehensive Peace Agreement with political parties. They didn’t care to ask how could Girja represent the state of Nepal. Didn’t his only qualification was that he had India’s trust! नेपाल की संविधान सभा का विघटन जितना अप्रत्याशित था उनता ही जरूरी . चार साल पुरानी संविधान सभा अपने जनादेश के विपरीत केवल प्रधानमंत्री बनने और न बनने देने की कसरत बन कर रह गई थी. इन चार वर्षो में संविधान सभा केवल पांच उल्लेखनीय फैसले कर पाई, जिनमें से चार केवल प्रधानमंत्री बनाने-बनने संबंधी ही थे और एक में नेपाल को गणतंत्र घोषित किया गया था. संविधान सभा नेपाल के तमाम नेताओं के लिए लेन-देन का जरिया बन गई थी. संविधान सभा की अधिकांश बहसों में सरकार बनाने का सवाल प्रमुख होता था न कि संविधान बनाने का. संविधान के प्रति प्रमुख राजनीतिक दलों की उदासीनता का आलम यह था कि संविधान निर्माण के लिए गठित 14 उप-समितियों की सभी प्रमुख संस्तुतियों को प्रमुख राजनीतिक दलों ने नजरअंदाज कर दिया और होटलों, रिर्जोटों और देश-विदेश में आयोजित सेमिनारों में संविधान में क्या शमिल करना है क्या नहीं इस की बहस चलाते रहे. सभी राजनीतिक दलों के प्रमुख नेताओं-कार्यकर्ताओं ने भारत, चीन, विलायत और अमरीका की यात्राएं कीं, संविधान निर्माण के गुण सीखे और वहां के स्मारकों की फोटो को अपने फेसबुक पर लगातार अपडेट किया. संविधान सभा की सबसे बड़ी पार्टी की हैसियम में माओवादी पार्टी के नेता इस काम में सबसे आगे दिखे. नेपाल, जिसकी 80 फीसदी आबादी के लिए कम्प्यूटर रहस्य है उसके भाग्य का फैसला करने वाले नेताओं की फेसबुक की ललक उसके साथ एक मजाक ही माना जा सकता है. इस मजाक को थोड़ा और मजाकिया बनाने के लिए माओवादी पार्टी के अध्यक्ष प्रचण्ड के सुपुत्र प्रकाश ने संविधान के लिए ऐवरेस्ट की चोटी में चढ़ने का ऐलान किया. हालाकि एक साक्षत्कार में उन्होनें कहा कि यह उनका बचपन का सपना था लेकिन इस सपने को संविधान निर्माण से जोड़ कर ‘कामरेड’ प्रकाश ने इसे ‘जनसपना’ बना दिया था. तो क्या संविधान बनाने की चार साल लंबी कसरत बेकार गई? या विघटन ने नेपाली दलों के लिए कुछ महत्वपूर्ण सबक छोड़े हैं? संविधान सभा की सबसे बड़ी पार्टी होने के नाते विघटन की सबसे बड़ी जिम्मेदारी माओवादी पार्टी की है. इसके अध्यक्ष प्रचण्ड पूरे चार साल भ्रमित नजर आए. कभी जनविद्रोह और कभी संविधान को प्रमुखता देने के चलते माओवादी पार्टी अन्य राजनीतिक दलों को भरोसे में नहीं ले सकी. 2008 में गणतंत्र नेपाल के पहले प्रधान मंत्री की हैसियत से प्रचण्ड ने नेपाल की सत्ता संभाली. उसके आठ महीने बाद कटवाल प्रसंग पर उन्होंने इस्तीफा दिया. यह एक साहसिक काम था, लेकिन इसके तुरंत बाद प्रधानमंत्री पद पर पुनः पहुंचने की उनकी चाहत उनके कद को छोटाकरती चली गई. ऐसा लगता था जैसे पूरी माओवादी पार्टी उनके इस सपने को पूरा करने का साधन है. माधव नेपाल की सरकार को कठपुतली सरकार कहने वाली माओवादी पार्टी ने लगातार संविधान सभा की बैठकों का बहिष्कार किया, उसे चलने नहीं दिया और संविधान बनाने की प्रक्रिया को एक साल तक हाइजैक करके रखा. आठ महीने तक संविधान की दिशा में माओवादी पार्टी ने कोई खास पहल नहीं की और अगले एक साल माधव नेपाल को कोई पहल नहीं करने दिया. माधव नेपाल के इस्तीफे के बाद जब लग रहा था कि बाबुराम भट्टराई पर सहमती बन सकती है तो पूरी पार्टी पंक्ति ने ऐसा नहीं होने दिया. प्रचण्ड ने बाबुराम को भारत समर्थक कह कर पार्टी की ओर से उन्हें प्रधानमंत्री पद का दावेदार नहीं बनने दिया और पार्टी को नेकपा एमाले के अध्यक्ष झलनाथ खनाल को समर्थन दिलवा दिया. इस प्रकार झलनाथ खनाल के कार्यकाल की उपलब्धि यही रही कि उन्होनें छः महिने तक बाबुराम भट्टराई को प्रधानमंत्री पद से दूर रखा. इसके बाद माओवादी पार्टी के किरण समूह के दवाब में बाबुराम भट्टराई के प्रधान मंत्री बनने का रास्ता खुला. बाबुराम भट्टराई ही एक मात्र ऐसे नेता हैं जो शुरू से ही संविधान निर्माण के प्रति चिंतित नजर आते हैं. उन्होंने राजनीतिक दलों के बीच बनी खाई को पाटा और विश्वास का माहौल बनाने में सफल हुए. ये उनके नेतृत्व की सफलता थी कि पहली बार नेपाल में राष्ट्रीय सहमती की सरकार बन सकी. हां, इस मुहीम में वे अपनी ही पार्टी के एक बड़े हिस्से को नाराज करते चले गए लेकिन संविधान निर्माण के लिए जो समय उनके पास उपलब्ध था उसमें यह कीमत उन्हें चुकानी ही थी. जोखिम उठाना एक नेता का जरूरी गुण है. संविधान सभा के विघटन का फैसला कर उन्होंने अपने इस गुण का परिचय दिया है. भले ही विघटन और आगामी चुनाव टूट के कगार पर खड़ी माओवादी पार्टी के नुक्सानदायक साबित हो लेकिन यह बाबुराम भट्टराई के लिए वरदान से कम नहीं है और शायद इसी के चलते बाबुराम भट्टराई ने इतना बड़ा जोखिम उठाया. माओवादी पार्टी के अध्यक्ष इस बात को शायद अभी न समझे लेकिन चुनाव के बाद भट्टराई की राजनीतिक परिपक्वता का एहसास उन्हें हो ही जाएगा. भट्टराई एक ऐसे राजनेता है जिन्हे एक पार्टी के बहुमत से हमेशा नुकसान होता है लेकिन विखंडित जनादेश उन्हें मजबूती प्रदान करता हैं. आने वाले चुनावों में यदि एक बार फिर विखंडित जनादेश आता है तो बाबुराम भट्टराई ही एकमात्र ऐसे नेता होंगे, जिन पर फिर सहमती बनेगी. यह बात दावे के साथ कही जा सकती है कि आगामी चुनाव बाबुराम भट्टराई का चुनाव साबित होगा. प्रचण्ड की अध्यक्षता वाली माओवादी पार्टी और खुद प्रचण्ड के लिए अच्छा होता कि नया संविधान इसी कार्यकाल में बन जाता. प्रचण्ड इसमें चूक गए. साथ ही अंतिम दिनों में संविधान निर्माण की जो हड़बड़ी उन्होंने दिखाई उसमें वे अपने सबसे भरोसेमंद जनाधार को नष्ट करते चले गए. उन्होने अपने ही दलों के महत्वपूर्ण नेताओं को भरोसे में लिए बिना ऐसे फैसले लिए या लेने में सहयोग दिया जो उनके राजनीतिक धरातल को कमजोर करने वाले साबित होगें. आगामी चुनाव में यदि वे पार्टी को संयुक्त तौर पर नहीं ले जा सके (जिसकी पूरी संभावना है) तो उनके राजनीतिक भविष्य पर सवाल खड़ा हो सकता है. संविधान सभा के विघटन का सबसे बड़ा नुकसान नेपाली कांग्रेस को चुकाना पड़ सकता है. पिछले चुनाव में राजतंत्र के प्रति उसकी उदारता चुनाव में उसके पिछड़ जाने का कारण बनी थी और इस बार संघियता पर सख्ती उसकी चुनावी राणनीति को कमजोर बना सकती है. नवंबर में होने वाले चुनाव संघियता को मुद्दा बना कर ही लड़े जाएंगे और ऐसे में संघियता की मांग कर रही नेपाल की एक बड़ी आबादी स्वतः उसके खिलाफ हो जाती है. मधेशी दलों के राजनीतिक पटल पर प्रकट होने से पहले तक कांग्रेस का सबसे मजबूत गढ़ मधेश था. मधेश मोर्चा के कई बड़े नेताओं ने अपनी राजनीतिक शिक्षा कांग्रेस में हासिल की. आगामी चुनाव में मधेश, जनजाति और अन्य राष्ट्रीयताएं कांग्रेस के खिलाफ खड़ी दिखई देंगी. लेकिन कांग्रेस के पास उम्मीद की किरण है. वह है माओवादी पार्टी का विधिवत विभाजन. माओवादी पार्टी का विभाजन कांग्रेस के विरोधी वोट बैंक को बांट सकता है और उसका वफादार वोट बैंक उसकी जीत को सुनिश्चित कर सकता है. इसके अलावा मधेशी पार्टियों का विभाजित रहना भी उसके आधार को मजबूत करेगा. पिछले चुनावों की तरह इस बार भी नेकपा (एमाले) के पास राजनीति का कोई साफ मॉडल नहीं है. उसके पास कांग्रेस के जैसा वफादार वोट बैंक भी नहीं है. पिछली बार की तरह उसकी कोशिश इस बार भी कांग्रेस और माओवादी पार्टी की कमजोरी पर केंद्रित हो कर चुनाव लड़ने की होगी. माओवादी पार्टी के टूटने का फायदा उसे नहीं होगा बल्कि दो माओवादी पार्टियां उसके जनाधार को अपने में समाहित कर लेंगी. कांग्रेस के विपरीत एमाले के पास पुरानी सरकारों को कोसने का भी कोई खासा अवसर नहीं है. पिछली चार सरकारों में तीन में उसकी पूरी भागीदारी थी. दो बार उसने सरकार का नेतृत्व किया है. निश्चित तौर पर अगले चुनावों में मधेशी और क्षेत्रीय पार्टियों की निर्णायक भूमिका होगी. चूंकि चुनाव संघियता पर केंद्रित होगें इसलिए जनता में इन पार्टियों को अधिक महत्व मिलना स्वाभाविक है. चुनाव के करीब आते-आते हो सकता है कि बड़ी पार्टियों के क्षेत्रीय नेता अपनी पार्टियों के खिलाफ खड़े हो कर संघियता के समर्थन में चुनाव लड़े (संविधान सभा के विघटन के बाद एमाले के कई नेता अपनी पार्टी को छोड़ कर जा चुके हैं या जाने की तैयारी कर रहे हैं). अंततः एक बात साफ तौर पर कही जा सकती है कि माओवादी पार्टी का विभाजन और चुनाव में दो पार्टी के रूप में उसकी हिस्सेदारी कांग्रेस और एमाले के लिए फायदेमंद हो न हो यह विभाजन बाबुराम भट्टराई के लिए जरूर फायदेमंद होगा और प्रचण्ड की हैसियत को गहरा नुकसान पहुंचाएगा.